Event Archive Page from July 22, 2015. 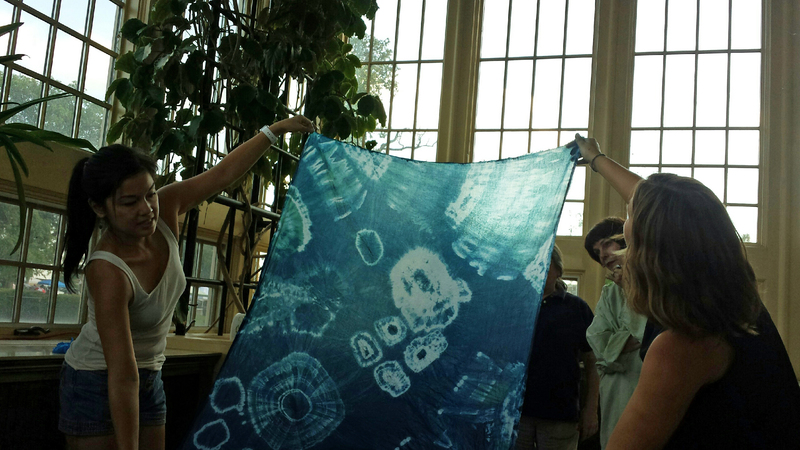 4 – 6 p.m. Join Wax and Wane fiber for this FREE hands-on natural dye class, and learn how to use indigo, a plant-based pigment, to make fabric art. Take your piece home or leave it in the care of the artists for possible inclusion in a curated show in October. Drop in on the workshop any time, or stay for the whole session. All ages welcome. Children must be accompanied by an adult. Dye is obtained from the processing of the plant’s leaves. They are soaked in water and fermented in order to convert the glycoside indican naturally present in the plant to the blue dye indigotin.